Inc.com’s Eric Schurenberg and Yodle’s Court Cunningham on the challenges facing expanding companies. In just over five years, Yodle CEO Court Cunningham has taken his company from 11 employees to almost 1,200. While this tremendous growth points to Yodle’s success as a small business digital marketing firm (and recently landed it the no. 11 spot on Inc.’s 2013 Hire Power Awards) it hasn’t been necessarily a walk in the park. The Hire Power Awards single out 100 companies that are quickly creating jobs in the U.S.
“It’s exciting for all the obvious reasons, but it’s scary because our culture is a big part of what differentiates us,” says Cunningham. In order to ensure the company doesn’t lose touch with its core mission or identity, Cunningham says the recruiters stay wary of hiring sub-par staffers. “You’ve got to be very careful that you’re hiring the right people and not just getting bodies in the door to satisfy the short-term growth need,” says Cunningham, pointing to Groupon and AOL’s early days as cautionary tales. For fast-growing companies like Yodle, filling open spots can be a major challenge. 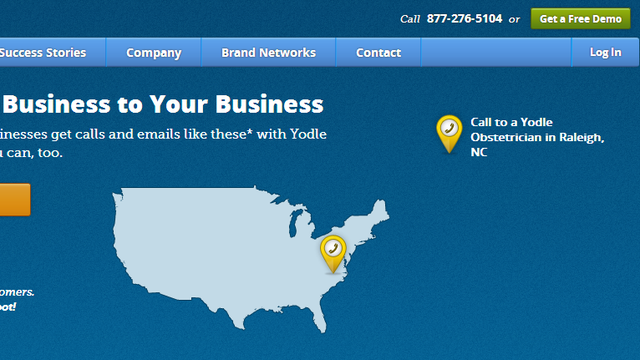 Inc. magazine editor-in-chief Eric Schurenberg says Yodle has benefited from being headquartered in New York City, as well as from having locations in other growth markets like Atlanta, Georgia and Austin, Texas. “I think that Yodle is an example of a company that is in a growth market that attracts a lot of people. I think it would be difficult for Yodle to grow its workforce as it has if it were in a smaller market, where there wasn’t the kind of engineering and skilled talent,” says Schurenberg. Financing is also a major issue. Despite the booming stock market, Schurenberg says small businesses are still strapped for cash. “Banks, I think -- particularly small banks -- haven’t quite got into the lending mood. They’re still a little risk-averse. The money still isn’t there for small companies the way we wish it was at Inc.,” says Schurenberg. Perhaps surprisingly, however, Schurenberg says he doesn’t feel taxes are a major impediment to growing businesses. In fact, he says regions like the Northeast and California – which are often viewed as unfriendly to businesses due to high taxes – are actually where the most job creation is taking place. “Well, I think that when you are growing, you’re not stopping to think well … am I going to accept this extra revenue and worry about giving a lot of it back to the government? No. If you’re going to grow, you’re going to grow,” says Schurenberg.